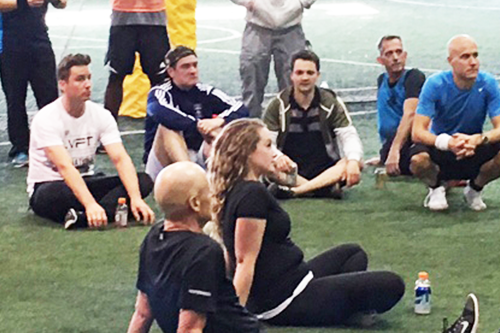 Trifecta Sports is an indoor turfed facility located in Calgary's SE industrial park. The facility features 5 turfed areas that can be used for a variety of activities. The facility is available for hourly rentals or longer-term residencies for various clubs/teams or groups looking for a space to do or practice their activity of choice. We also have a number of other facility features that make this a great spot for any event including meeting rooms, viewing area, kitchen and boardroom. What kinds of activities can you do at Trifecta? And how much will it cost? Find out here. Still have some questions or want to get in touch with us to book a space? Contact us!